Bangkok’s wine scene supports a breadth of interests, though fine dining does lean heavily to European classics. A second camp, however, pursues organic, biodynamic and natural producers with eagerness. Despite high taxes on alcohol, the market is awash with New World labels from Australia, New Zealand and Chile, due to bilateral tariff agreements. Another piece of the Thai puzzle: domestic wines. Notably, Monsoon Valley Vineyard in Hua Hin. 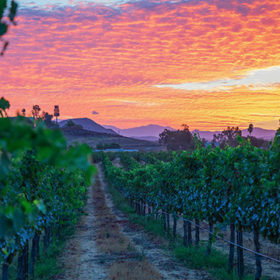 The winery introduced the world to “new latitude wines,” and has won international awards and acclaim. 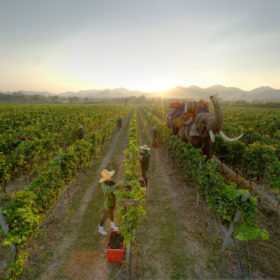 Young Thai professionals and well-heeled foreigners fuel the wine scene. Natural labels and an international list reminiscent of New York City’s hottest spots are on the docket for WET, Chef Gaggan Anand’s highly anticipated wine bar. About Eatery is the city’s first bar dedicated to the natural wine category. If you can find it, secret cocktail joint Ku Bar has opened an intimate natural/organic wine haven below called Kangkao. For classier digs and classic wines, slip on your best silk for a pour from Riedel Wine Bar & Cellar’s wine dispenser. Tenshino, at Pullman Bangkok King Power hotel, received a World of Fine Wine award in 2018. Bar@494 at The Grand Hyatt Erawan, a frequent base for wine events, supports around 300 labels. Mediterranean Quince, Eatery & Bar and Laotian-Thai Funky Lam pour small producers at good prices. 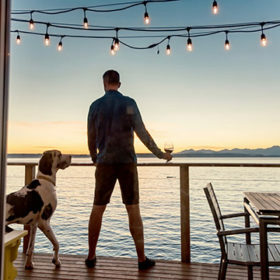 For everyday sipping, fancy hotel sommeliers unwind at Wine Republic or wine shop/bar chain Wine Connection. And for a singular, sensational gin & tonic, head to Iron Balls Gin Parlour & Saloon. Hustle to Gaggan for its regional Indian tasting menu before it closes in 2020. Chef Garima Arora of progressive Indian restaurant Gaa, located next door, spent time under Chef Gaggan Anand’s tutelage. Bo.lan offers superb Thai cuisine served family-style, with clever wine pairings to match. Thai chef and sommelier Thitid “Ton” Tassanakajohn earned his first Michelin star for Le Du, while Paste’s Bongkoch “Bee” Satongun won Best Female Chef in Asia, 2018. Sip sustainable wines with spectacular food at urban farm Haoma. Sühring’s contemporary German cuisine suits its Old World wine list. The new Waldorf Astoria Bangkok has contemporary Thai interiors throughout a whopping six bars and restaurants. Longtime favorite Lebua at State Tower entices with its striking rooftop bar and two-Michelin-star restaurant, Mezzaluna. Tucked inside lush riverside gardens, The Siam Hotel is the poshest boutique property in town. Splurge on classic white-glove service at Mandarin Oriental, Bangkok. Guests of the Park Hyatt Bangkok will appreciate its unique architecture and fine wine program. Avoid rainy September and October. November and early December offer dry weather before the holidays. Swap the frenetic city vibe for a few days at the beach. With Maya Bay on the island on Koh Phi Phi Leh closed and Phuket overdeveloped, relax on the quieter shores of Koh Kood. Go high-brow Robinson Crusoe at luxury resort Soneva Kiri, replete with Michelin-starred chefs and an ambitious wine program helmed by female Thai somm Nutawan Jumpanak. Hitch a ride there on the resort’s private plane. Many restaurants offer low corkage fees or BYOB. For same-day bottle delivery, order from The Wine Merchant. With more advanced notice—a day or two—you can also try ordering from Bangkok Cellar or the organic- and biodynamic-focused Go Naturalista.